- Prof. Claudius Tanski, Universität Mozarteum Salzburg. A listing of all participants is available, ordered by age groups, on our YouTube channel. The 1.-3. Prize winners received money prizes. All other prizes were Henle Urtext music books. The prizes will be sent by post shortly. Congratulations to all the winners! The 6. 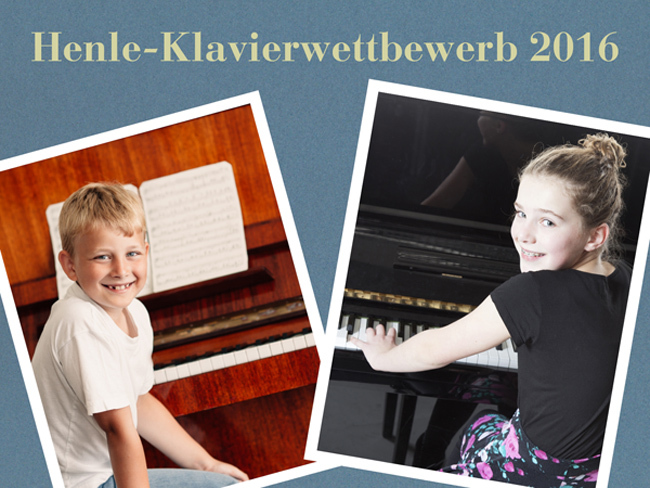 Henle Piano Competition will start in January 2017!